Let’s put baseball to the side for a second, because yesterday was just another reminder that sometimes things are more important than sports. While New York Mets General Manager Sandy Alderson may seem like the last person who deserves any praise or dedication, because of the team’s current status, it may be appropriate to say that the Mets’ walk-off win last night was indeed for him. Alderson announced yesterday prior to first-pitch that he will take an immediate leave of absence to shift his focus towards his health as his cancer from 2015 has returned. Mets Chief Operating Officer Jeff Wilpon announced that Assistant General Manager John Ricco and Special Assistant’s J.P. Ricciardi and Omar Minaya will take over the role of GM for the remainder of the 2018 season. In December of 2015, Alderson was diagnosed with cancer following an incident where he fainted at a press conference. He would then skip the winter meetings that same month to undergo chemotherapy treatment. From what we heard, he has been fine ever since. 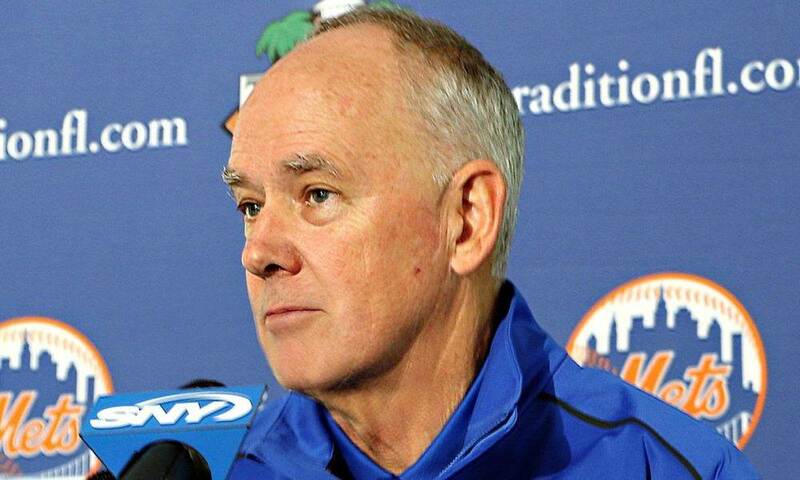 However, Alderson revealed in his press conference yesterday that he has been undergoing treatment once again since the recurrence was detected in late April-early May, which has taken a toll on his body and his duties as Mets GM. He also announced he will have surgery at the end of the summer. After his opening remarks, Alderson answered questions about what this means for the future as well as his time with the Mets and the decisions he has made up to this point. To his credit, he was honest, open, and took responsibility about where the Mets are today. Alderson also made sure to address the job he did this year in particular. Alderson took time to talk about the free agents he signed this past offseason which include Jay Bruce, Todd Frazier, Anthony Swarzak, Jason Vargas, and Adrian Gonzalez, saying none of them have performed to the expectations held when they were signed. Despite what you may think about the job Sandy Alderson has done as the Mets GM (and I have my thoughts as well), one thing that everyone can agree on is he has handled himself with class, honor, and has held himself responsible since becoming the GM in 2011. Whether he has been ridiculed, destroyed on social media, ripped apart on sports-talk radio and television, he had nothing but full support from every single outlook yesterday. That goes to show what kind of man Alderson is. At the end of the day, when life takes over, sports go to the back of the line, especially when the person suffering is a good man and is passionate about what he does. Mickey Callaway says he didn’t find out about Sandy until 20 minutes ago. Now, knowing what Alderson has been through over the last few months, he says while choking back tears: “He’s a badass marine, that’s all I can say. Many already believed that Alderson would not be the General Manager of the Mets come 2019 due to the way the team has performed this year. So after hearing the comments about his health and track record, it could be safe to say his days as the Mets GM are finished. In fact, it almost sounded like he resigned on the spot yesterday. Despite the horrible news, the Mets now have to try to move forward in a new direction. Ricco, Ricciardi, and Minaya will have their hands full just one month before the trade deadline, and it will be interesting to see what they do when they are in charge of the decision making. However, there is no doubt that Alderson will be in the thoughts of every player, coach, and front office representative for the rest of the season. While many fans were ready for a new beginning and a new GM, I think they can all agree on the fact that, if this is the end for Sandy as the GM, this is not how they wanted him to go out.